Many of us struggle with the roadblocks of bureaucracy and legacy thinkers squelching innovation. Whether we work in corporations, for ourselves or as our guest does, in the behemoth that is higher education, we have to figure out how to navigate the system in order to drive innovation forward. 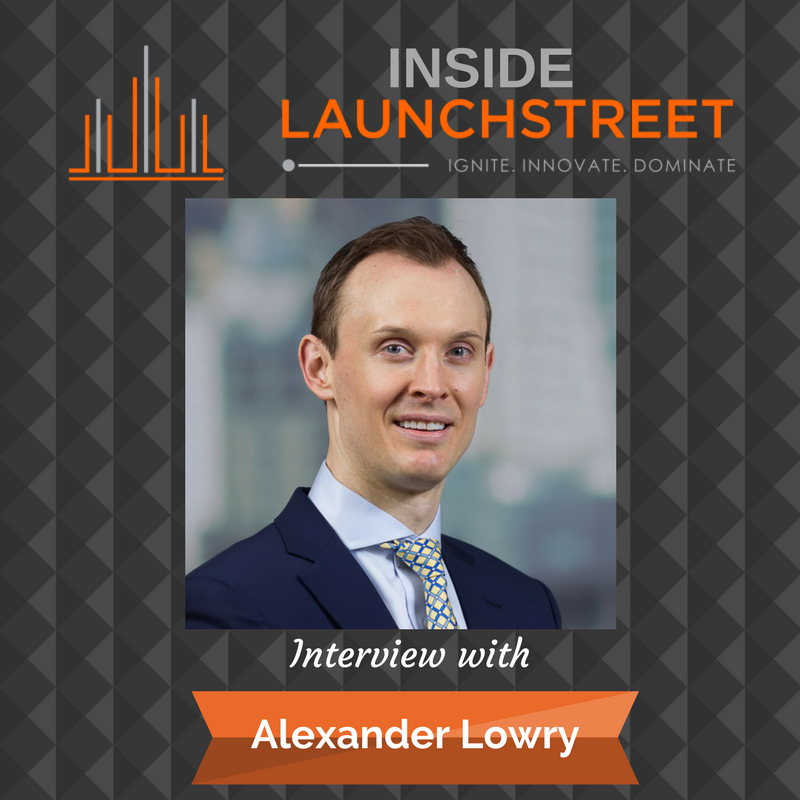 Today’s Inside LaunchStreet guest, Alexader Lowry, has some experience in this so I asked him, “Hey, how do you pivot in an industry that wants to stay the course?” Last year he left J.P. Morgan in New York City and relocated to Boston to join Gordon College and launch the College’s new one-year Masters in Financial Analysis program. He wanted to prove that the old MBA model could work differently. We talk about how to find the right customer willing to take the leap with you, why we need to push back on the institutions we work in and how to move forward with a vision. [:50] Tamara opens the show by inviting listeners to get the right tools for innovation so that you can perform magic at work. Visit LaunchStreet to obtain the magic. Visit Innovation on Demand training videos to view the digital toolbox. [3:14] You might be surprised to know that Alexander caught the traveling bug from his dad. His friends have labeled his traveling as his stupidity tour. Alexander has seen Stonehedge and watched Punxsutawney Phil see his shadow. His favorite experience was running with the bulls in Pamplona. [4:58] How did Alexander come to the conclusion that the traditional two-year MBA system needed to be overhauled? [8:17] How did Alexander identify which areas needed an overhaul? Get introduced to the term “long-term greedy” and learn about perverse incentives. [9:42] Alexander believes ethical decision making is just doing the right thing. Under intense pressure and time constraints, it’s easy to not do the right thing. He shares an experience from his Wharton Business Class. His professor came into class and drops down a huge manilla folder. He explains that these are his students that have gone to jail in the last forty years. [11:36] Tamara asks Alexander how he teaches ethics so that you don’t add to the manilla folder? Alexander believes that the program at Gordon College partially self-selects at the door due to the Christian worldview at the college. [12:29] What makes the MBA at Gordon College different? It’s a one-year Masters in Finance. It’s done in half the time and with less than a quarter of the cost. This allows you to make different decisions after you are complete the program. [13:44] What types of pushbacks has Alexander faced from the traditional programs? [14:50] Alexander has experienced two types of people seeking his program. First, those that come directly from undergrad. And, second, those that come four to seven years out of school. [16:57] Listen in as Alexander talks about why he left his glitzy Wall Street job and entered the world of academia. Tamara and Alexander talk about how life and your career are intertwined. Tamara tries to avoid the concept of balance. It’s a teeter-totter depending on what’s going on that day. [19:19] Alexander took the IQE Assessment and his archetype is risk taker and inquisitive. He innovates by leaping and figuring out how things work. He also digs into assumptions and challenges things. Alexander’s wife says that he likes to figure out exactly how the system works so that he can figure out how to get around it. Because of this, he questioned what opportunity could be available that could challenge the Wharton MBA program. Tamara reminds listeners that quite often we miss the real opportunity because we are busy looking for holes in the product. [21:12] Alexander shares his experience of leaving banking and NYC. He talks about challenging his own assumptions. [23:06] Connect with Alexander at Gordon College or email him at graduatefinance@gordon.edu. [23:27] What does the future look like for Gordon College’s MBA graduates? [24:42] Tamara started her career on Madison Avenue in New York. She was an account coordinator. The best conversations occurred at midnight. She was put on a great disruptive team that had amazing results. [26:25] Alexander’s final piece of advice is to start with something you’re passionate about. And develop determination strong enough to endure the ups and downs. [28:00] Tamara reminds us that any industry has room for innovation and disruption.